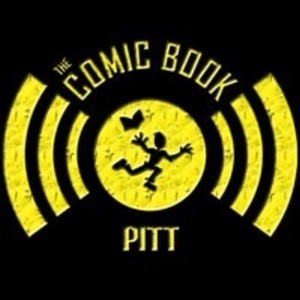 We found 8 episodes of Comic Book Pitt with the tag “new dimension comics”. Dan, Jared, and Scott sit down with Robert Hack, artist of Chilling Adventures of Sabrina, Doctor Who, Star Wars Adventures and so much more. Special thanks to New Dimension Comics' Pittsburgh Mills location for letting us record in the store. It's the return of CW programming. It's that time of year, that unofficial nerd holiday known as FREE COMIC BOOK DAY! As usual, we recorded a live in-store episode, this year we were at New Dimension Comics at Century III Mall.